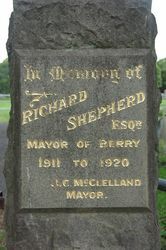 Gate erected in memory of Richard Shepherd, a former Mayor of Berry who died in 1921 at the age of 33. At Berry, on Wednesday afternoon last, a fair gathering assembled outside Hazelberry Park to witness the ceremony of unveiling a memorial gate erected in honor of the late Richard Shepherd, for many years Mayor of the municipality, a prominent public man, and an all-round good citizen. The movement to thus perpetuate the memory of the deceased gentleman was initiated by his successor in office, Ald.J. McClelland and the Town Clerk of Berry, Mr. Geo. Gillam, with the co-operation of the aldermen. Much of the work of raising the necessary funds was performed by Mrs. McClelland. 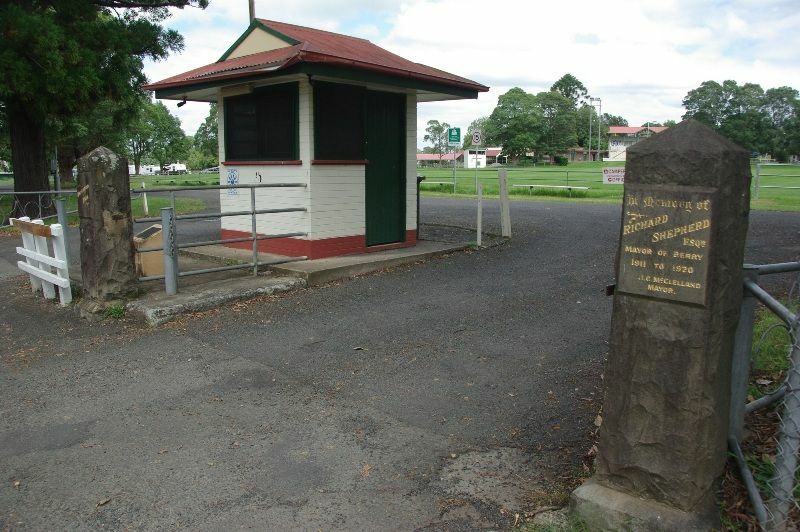 The Berry Council voted some £25 towards the fund, just with £70 in sight the Council recently let a contract to Mr. F. W. Rose, monumental mason, of Wollongong, for the erection of a gate on plan submitted. The columns of the gate are of trachyte roughly dressed, and the gate itself is of iron. It is intended later on to provide wings to set on the memorial gate. Even now the gate is a distinguishing feature as an entrance to the park, which the late Mr. Shepherd was mainly instrumental in securing to the people of Berry, and which will in future become one of the best public assets in that centre. Mr. Mark Morton, M.P., performed the unveiling and opening ceremony.